For any parent of an infant child, you'll need a baby monitor or camera in the baby room or nursery. 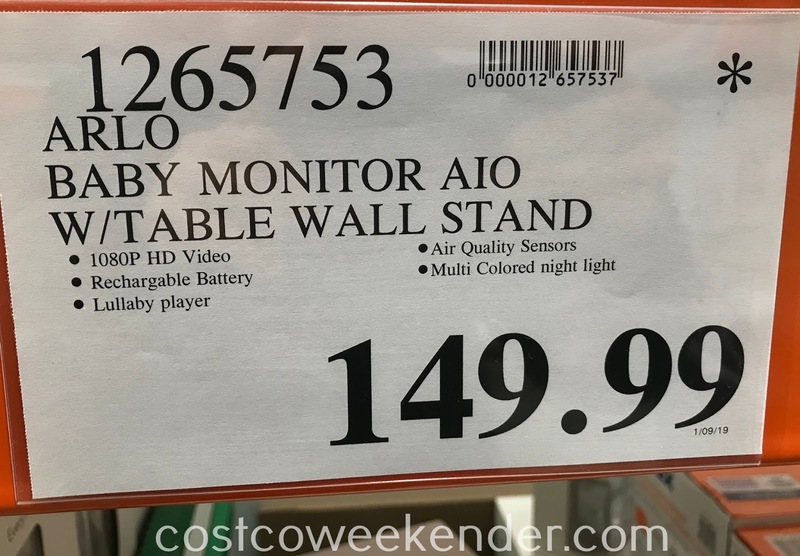 It's a good thing Costco has the Arlo Baby Monitoring Camera and Table/Wall Stand for sale. 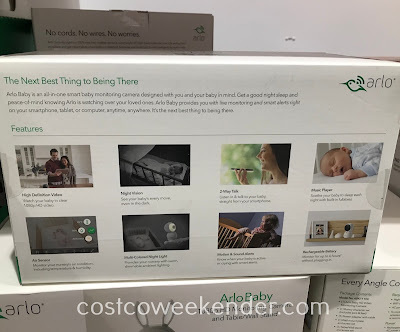 The Arlo Baby Monitoring Camera allows you to keep an eye on your child without disturbing her while she sleeps. 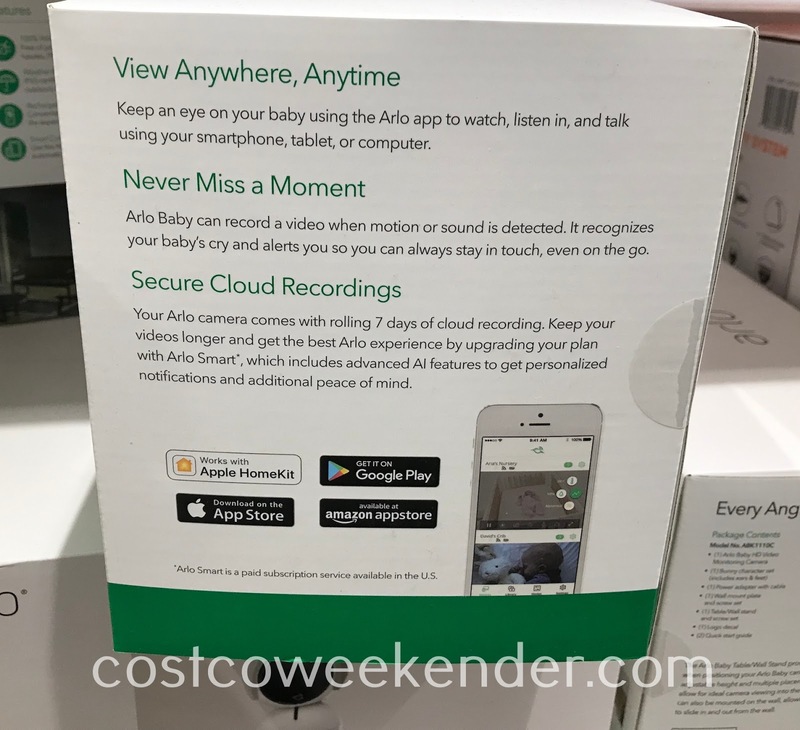 The Arlo Baby Monitoring Camera gives you HD quality video, night vision, and viewing capability on your smartphone with the Arlo app. It can do everything your conventional baby monitor can do and more! Arlo Baby is an all-in-one smart baby monitoring camera designed with you and your baby in mind. Get a good night sleep and peace-of-mind knowing Arlo is watching over your loved ones. 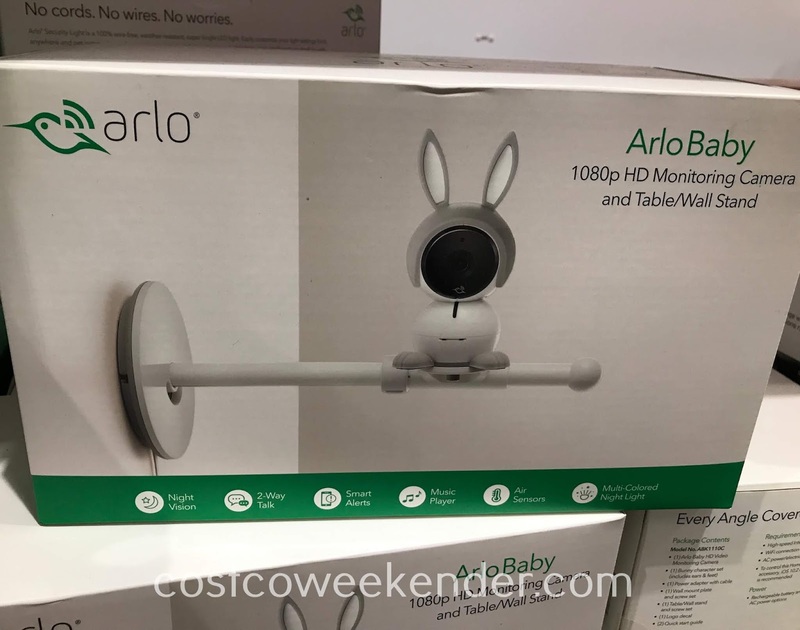 Arlo Baby provides you with live monitoring and smart alerts right on your smartphone, tablet, or computer, anytime. It's the next best thing to being there. Keep an eye on your baby using the Arlo app to watch, listen in, and talk using our smartphone, tablet, or computer. Arlo Baby can record a video when motion or sound is detected. It recognizes your baby's cry and alerts you so you can always stay in touch, even on the go. Your Arlo camera comes with rolling 7 days of cloud recording. Keep your videos longer and get the best Arlo experience by upgrading your plan with Arlo Smart, which includes advanced AI features to get personalized notifications and additional peace of mind. 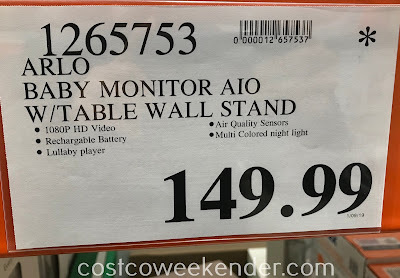 The Arlo Baby Table/Wall Stand provides versatility when positioning your Arlo Baby camera. 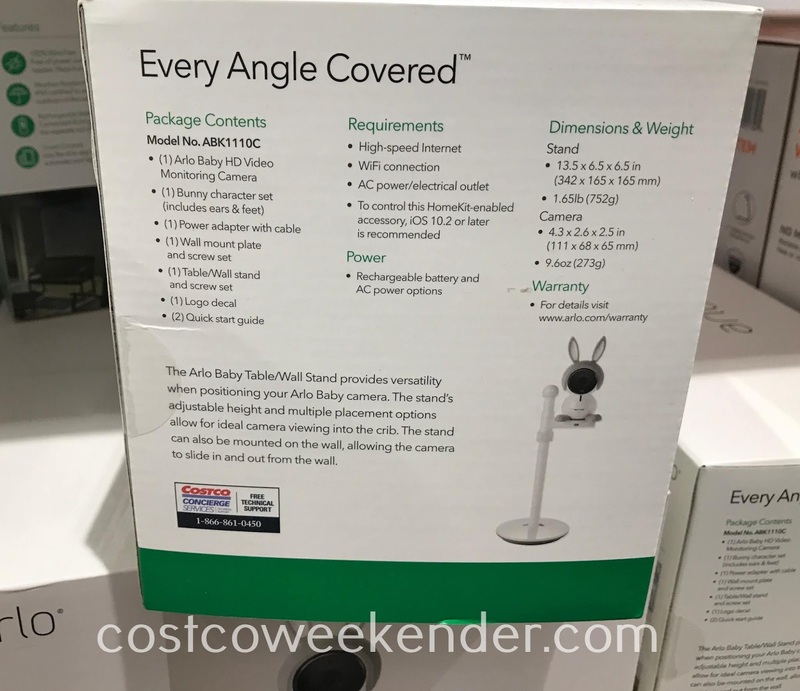 The stand's adjustable height and multiple placement options allow for ideal camera viewing into the crib. The stand can also be mounted on the wall, allowing the camera to slide in and out from the wall.